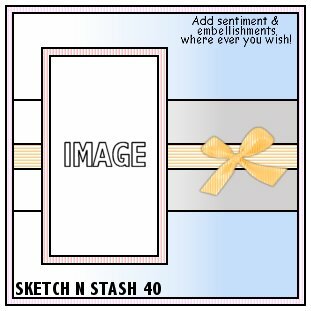 Hi everyone, it's time for another challenge over at Sketch N Stash and this week we have a free choice of sketch for you. You may choose any sketch from our back catalogue, just don't forget to let us know which one you decided on. 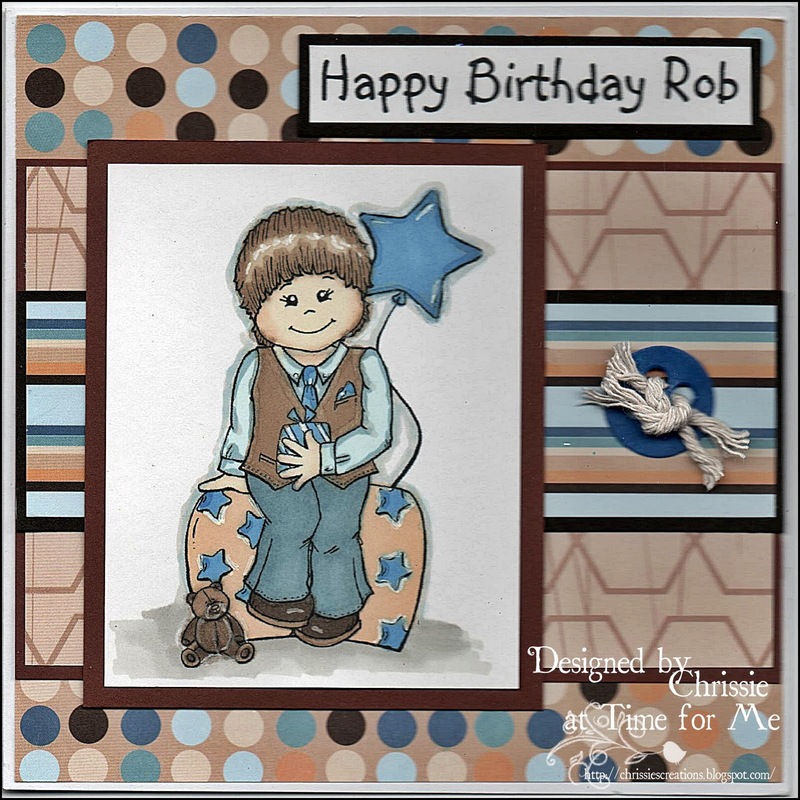 My choice was Sketch #40 which I thought would be perfect for this boy's card. We are lucky enough to be sponsored this week by Cuddly Buddly where Kim is offering our lucky winner the 3 wonderful digi images that the DT have used for their cards. If you want to see the others, just check out the fabulous examples done by the rest of the DT, and don't forget to see if you were last fortnight's lucky winner or one of our Top 3 while you're over there. I love your card Chrissie. The colour combo is fantastic and the image too. Gorgeous card Chrissie, I like the colour combo and the papers. Lovely sweetie. The papers go so well with this image. Hope you are well. I just love how you coloured this little cutie. The papers match perfectly. It's fabulous. Hope you're keeping well. 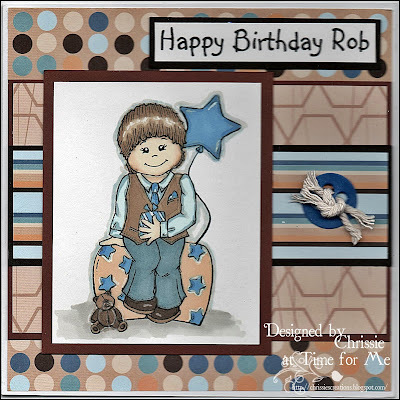 Hi Chrissie this is one fab creation, loving that image, doesn't her look smart and those papers look super. Just popping by to say 'Hello' & thank you so much for the wonderful birthday card you so kindly sent me. I just love it! Hope you're having a good week.